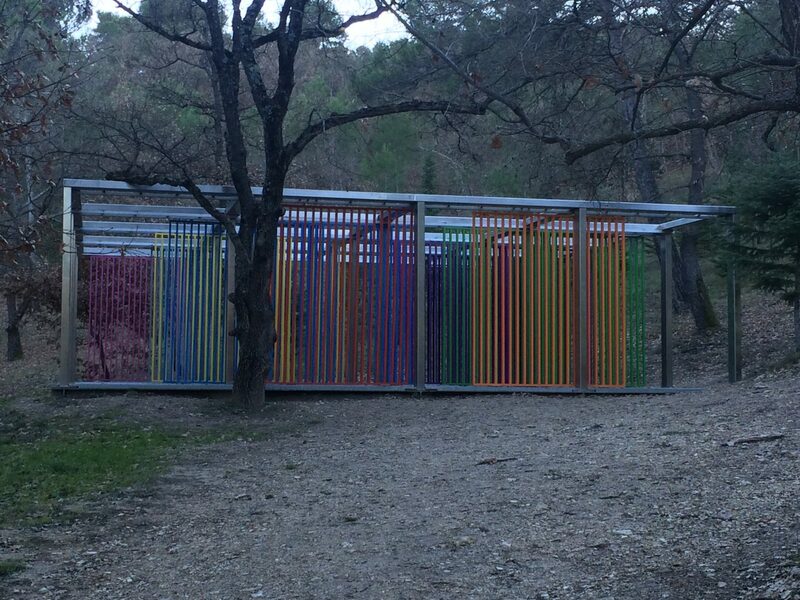 Last year my mother moved to the South of France; In a mad mid-life revelation she shipped off the dog, opened her Melbourne house to an artist-in-residence, and settled in a provincial town named Saint-Remy-de-Provence. Saint Remy is seeped in history; a home to creatives, Monaco royals and untiring agriculturalists. 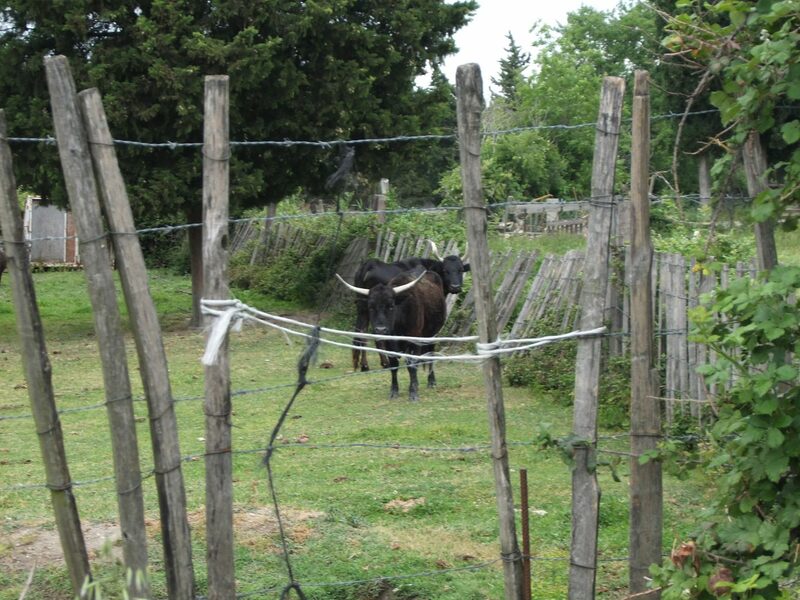 Its landscape and architecture have remained untouched for centuries and its locally cultivated food (cheese, truffles and foie gras) is at the heart of French cuisine. Now I knew that my mother missed me terribly, so like the dutiful daughter that I am, I packed my bags twice that year, visiting in the height of Summer and the midst of Winter – the things we do for family! Dear reader, if you are ever travelling through the South of France (or in the thick of your own life transition) be sure to visit Saint Remy and its surrounds. Below are some hints and suggestions to aid your journey through this restorative countryside. Part 2 of this article looks at where to find art and history. Saint Remy Cemetery: When Germany invaded France in 1940, German troops settled in Saint Remy, occupying such buildings as Château Roussan. Legend has it, that the Provincial arm of the French Resistance would meet in the dead of night in the Saint Remy Cemetery to plot their retaliation. 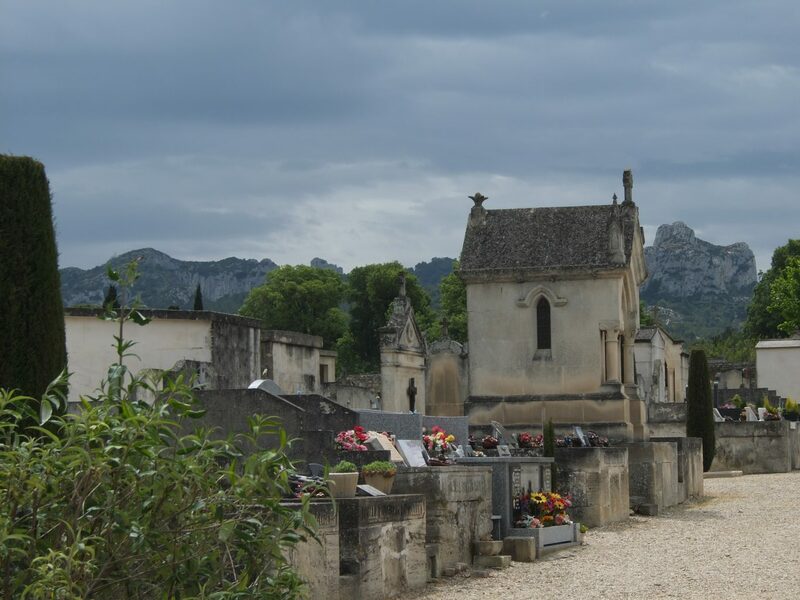 The cemetery is vast, with ancient tombs and has a view of the Alpilles. And despite the age of the graves, they remain lovingly preserved and adorned in fresh flowers. It’s a reminder of how important family and history are to the French, and it’s incredibly moving to see a decorated tomb for a person who died over 100 years ago. 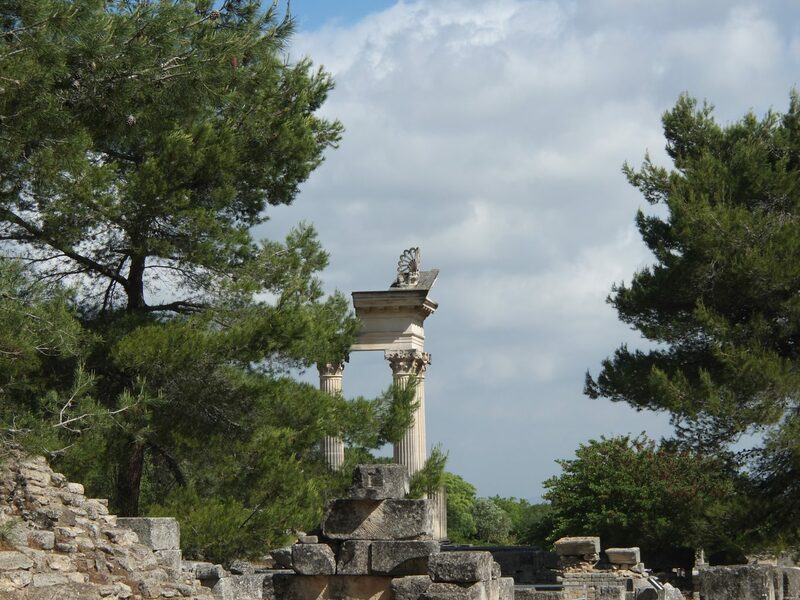 Glanum: Saint Remy was built on the outskirts of Glanum, an Ancient Roman city. Glanum, which wasn’t excavated until 1921, was a flourishing town from the 1st century BCE – 3rd Century CE that was known for its sacred spring, bath houses and religious temples. If you take a walk around the surrounding Alpilles, be sure to keep one eye on the ground, as it’s not unheard of for a hiker to stumble upon an ancient coin or cup. Just don’t alert the authorities, as technically it’s a ‘treasure of the state’. Van Gogh Asylum: An absolute highlight of Saint Remy is the Saint-Paul Asylum, where Van Gogh resided for the last year of his life. The asylum, which is still a functioning mental institution, was built in an 11th century monastery. The building is both beautiful and haunting, and visitors can see Van Gogh’s bedroom, which has been restored to its original condition. 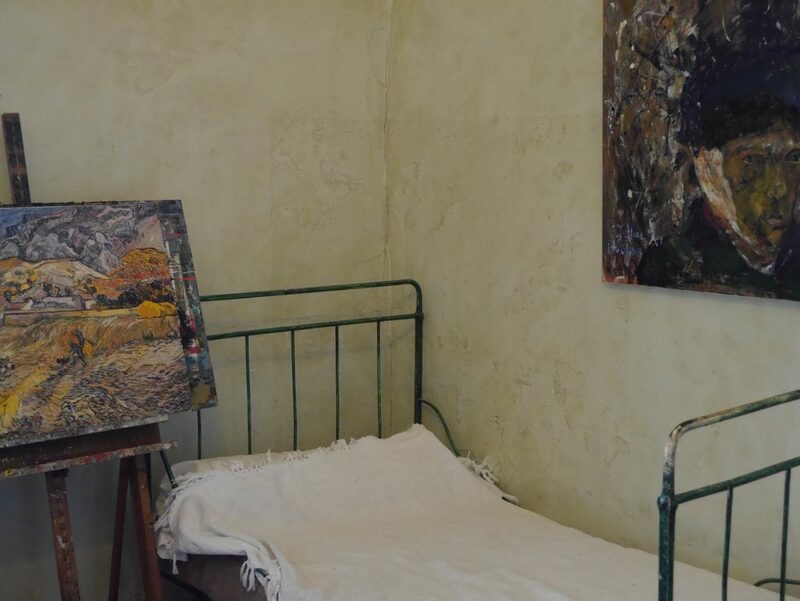 Be sure to finish your tour of the asylum by taking the Van Gogh Trail; a 2km walk from the asylum to the centre of town that is dotted with copies of Van Gogh’s work, where each are believed to have been painted. 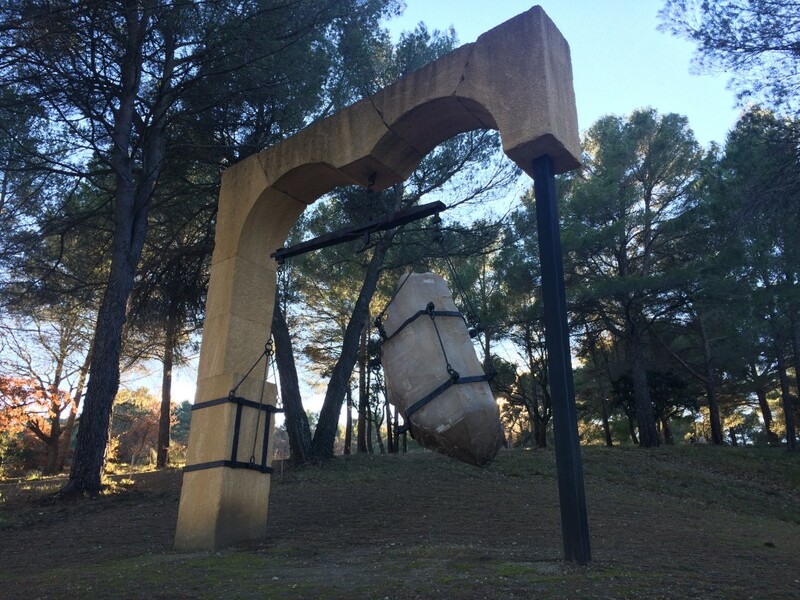 Château La Coste: Aside from the Van Gogh Asylum, the art in Saint Remy can be a tad kitsch, so I would recommend heading a little further a field to experience some truly remarkable modern art. Take the day to visit Château La Coste, a vineyard with restaurant, sprawling grounds and awe-inspiring contemporary sculptures. I would recommend first having lunch at the restaurant, which uses fresh ingredients from the kitchen garden; then perusing the bookshop for theory and art based literature; and then finally roaming the grounds and surrounding forest, seeking out the impressive collection of sculptures, some hidden, and some of which encourage interaction with the art. Château La Coste truly excites the imagination. 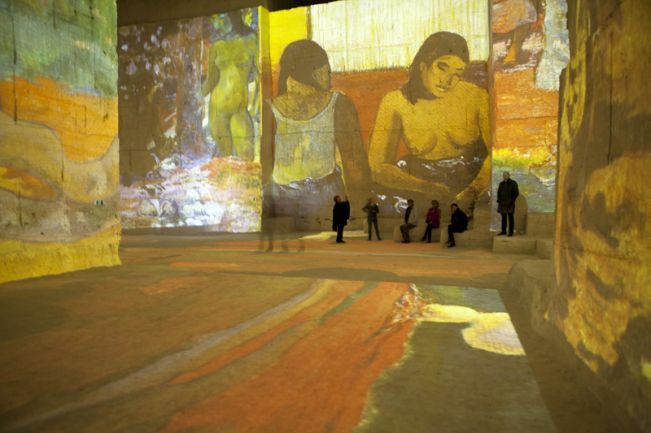 Les Carrières de Lumières: Only a 15-minute drive from Saint Remy is Les Baux, a picturesque village carved into a cliff side. This town is definitely worth a visit, but Les Baux’s main attraction lies underground in its dank dark cavernous limestone quarries. The quarries are home to a seasonally-changing light show that illuminates the cave from floor to ceiling, via a state-of-the-art projector and surround-sound audio. Art, both static and kinetic, is beamed onto the walls of the cave with corresponding music, creating an intense sensory experience.